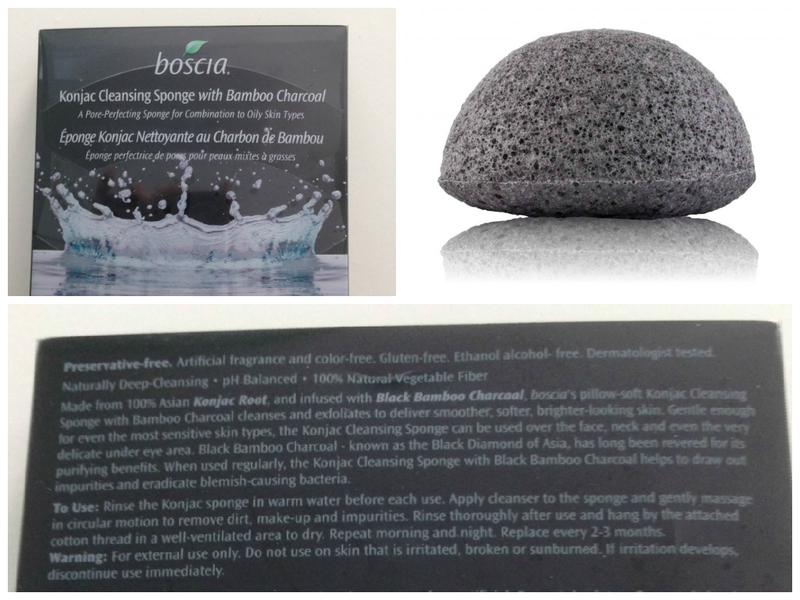 Even though Konjac sponges have been on the market in Asia for many years now, Boscia released its Konjac Cleansing Sponges in the U.S. only recently. Boscia has come out with several different versions of its Konjac Cleansing Sponge: Plain for general purpose, Charcoal for pore-perfecting, Green Clay for complexion-clearing, and Red Clay for hydration. I chose the Charcoal version at Sephora for $15. 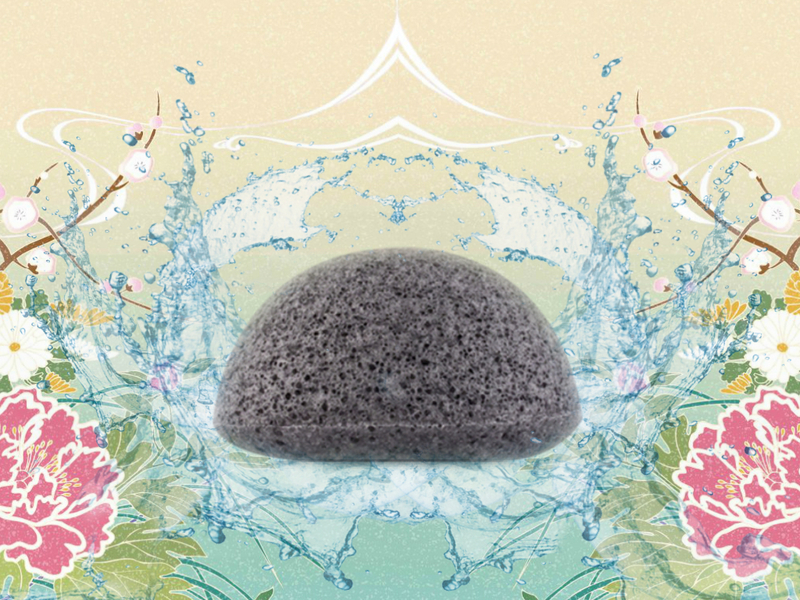 If you’ve never seen or used a Konjac sponge before, the texture is… unusual. When completely dry, the sponge is hard like a rock and very light. It actually looks like a pumice stone. (In fact, my mom freaked out when she saw me using it, thinking that I was scrubbing my face with a pumice stone.) When wet, it poofs up with water and is super soft. The closest thing that it reminds me of is a sea sponge. But more gelatinous, and ever-so-slightly rougher in texture. But trust me, this is a very soft sponge! Ingredients: 100% Natural Vegetable Fiber. The ingredients are simple enough! Just natural vegetable fiber made from the Asian Konjac Root (aka Devil’s tongue) infused with Bamboo Charcoal. It is definitely soft and safe enough for ultra sensitive skin. It doesn’t flare up my rosacea at all, and in fact provides a really nice exfoliation. I use the sponge 2-3 times per week. It’s recommended to thoroughly dry the sponge between use, and to replace it after 2 months. Using this sponge is very simple. Just saturate it with water, add your foaming facing cleanser, then gently scrub your face for a minute or two. Rinse your face and the sponge with water. And make sure to squeeze any excess water out of the sponge and place it somewhere to dry. However, after my first time using the sponge, I noticed a couple problems: it was very difficult to rinse it out properly and almost impossible to dry! The sponge really does a great job of holding onto the soap, and it takes a good couple of minutes of rinsing to get all the soap out. Also, the konjac sponge does NOT dry easily. After three day of hanging in a dry place, the sponge was still wet in the middle. Gross! Bacteria thrives in wet, dark places, so I was not happy that the sponge would not dry out quickly. Being acne prone, I’m VERY careful about keeping bacteria away from my face as much as possible. So… I came up with a great solution! I grabbed a small pair of sharp scissors and cut the sponge in half. Less surface area means less drying time! For the next month, I used only half of the sponge, and I found it to work just as well, was still big enough to comfortably hold and to scrub my face, and it dried so much faster. The sponge is usually completely dry within a day. But, it’s still a little difficult to completely rinse it free of soap. Below you can see what the sponge looks like wet without soap, saturated with a little bit of foaming cleanser (about 1/4 of what I normally use on my face), and after I rinsed it out for over a minute. See? Even after rinsing it out over and over again for over a minute, there are still quite a bit of soap suds left in the sponge! But really, that’s my only problem with the konjac sponge, and otherwise I love it! Cutting it in half really helps with the drying time, and I throw it out after using it for a month. Using the sponge several times a week gets rid of any flaky skin and keeps my face smooth and glowing! Boscia’s version is great, but a little pricey compared to other konjac sponges on the market. I’ve found many different versions on Amazon for slightly cheaper, but I haven’t tried any of those yet. I actually bought Skin Food’s version on en.koreadepart.com for $2.50 each. Score!! I bought a bunch, and I think I completely cleared out their stock because since I made my big order several months ago, koreadepart is still out of stock with them. Boo. Hopefully Skin Food is still making them and I can repurchase them when I run out. If not, I think I’ll try The Japanese Konjac Sponge brand. They have several different versions that sound fun, like cherry blossom! I love Boscia’s Konjac sponge! Gentle and effective exfoliation, and it keeps my skin looking smooth and glowing! However, because of the price, I decided to try out Skin Food’s version, and I’m happy that it’s the same quality. I will never be without a konjac sponge! Pros: Great simple ingredients, real results, and great exfoliation for even super sensitive skin. Cons: Doesn’t rinse out easily, doesn’t dry easily unless you cut the sponge in half. Boscia’s version is expensive at $15. 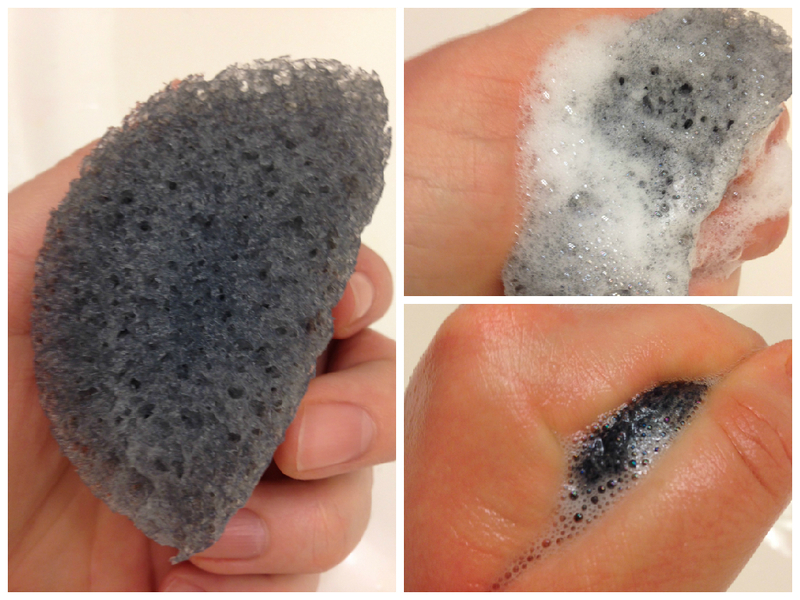 I’ve read so many good reviews about Konjac sponges- I really want one!